Andrea Tsakanikas has come a long way from the days she started her career in 1985, and has proved her mettle as a licensed real estate broker. Andrea Tsakanikas has come a long way from the days she started her career in 1985, and has proved her determination as a licensed real estate broker, consultant, manager, entrepreneur, and author. She is one such person who believes in scaling parameters of excellence to deliver services second to none. Owing to her dedication and commitment towards the core values of professionalism, she has achieved remarkable, awe-inspiring accomplishments during her career spanning almost 30 years. Andrea Tsakanikas founded CrewFacilities.com – gained reputation as a reliable travel management advisory company aimed at streamlining activities related to personnel tour. The company has gained brownie points owing to its transparent and client-centric lodging expenditure solutions aimed at reducing travel costs, in-house administrative time and labor, while enhancing productivity. As president of the company, Andrea successfully carried out her responsibilities of handling a team of construction management consultants conducting projects for REITS, developers, multifamily management companies, and investment groups. As COO of the company, Andrea Tsakanikas rendered her services towards building its infrastructure. VP of Operations -Team Housing Solutions Inc.
Andrea successfully executed her responsibilities related to setting up a remote lodging division for a corporate housing company. 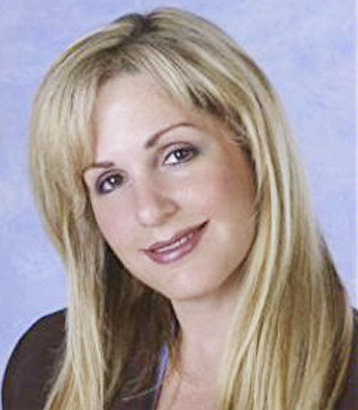 Andrea ventured into entrepreneurship by establishing Florida Luxury Rentals, a real estate brokerage, in 2002. The main motive of the company was to provide best possible solution related to rentals, vacation rentals, property management and investment acquisitions to real estate corporations in North America. Owing to its transparent and client-centric services, the company soon gained trust of real estate corporations and had been one of the top producers in the Fort Lauderdale Vacation rental specialty. She worked for a real estate development and investment company focused on dealing with multifamily, commercial and larger single-family communities. For complete and detailed professional bio of Andrea Tsakanikas visit her LinkedIn page. This is basically a guide to understanding different aspects involved in real estate market. The 111-page manual carries everything you need to comprehend prior to setting up a rental office from scratch or fine-tuning an existing rental department. Along with this, she has written several ‘How to’ manuals for aspiring real estate brokers across North America. Go to her LinkedIn page to know more about Andrea Tsakanikas.